SKU: BN-5222P. 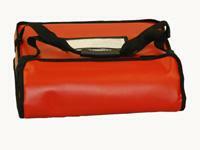 Availability: 13 in stock Categories: Bags, Elements & Accessories, Carry 4/5 Thermal Pizza Bags. 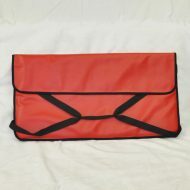 Tag: pizza bags. Made in the USA!! 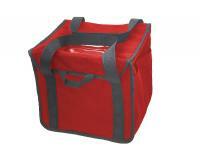 Premium red vinyl outer material with elastic bottom handle, clear pocket, 1/2″ foam insulation, steam vents, and durable nylon liner. Holds 4-20" or smaller pizzas.